SpamTitan Cloud is an award winning Anti-Spam service that is tried and tested. SpamTitan Cloud is built on the same technology as SpamTitan Gateway, SpamTitan’s performance is externally validated each month and it consistently features as one of the best catch rates for Anti-Spam appliances from a host of market leaders. SpamTitan Cloud has a complete feature set that suits any size business, and is also ideal for service providers who want to offer anti-spam services to their clients. Make life easier for your IT department and everyone in your organization who has an email inbox. 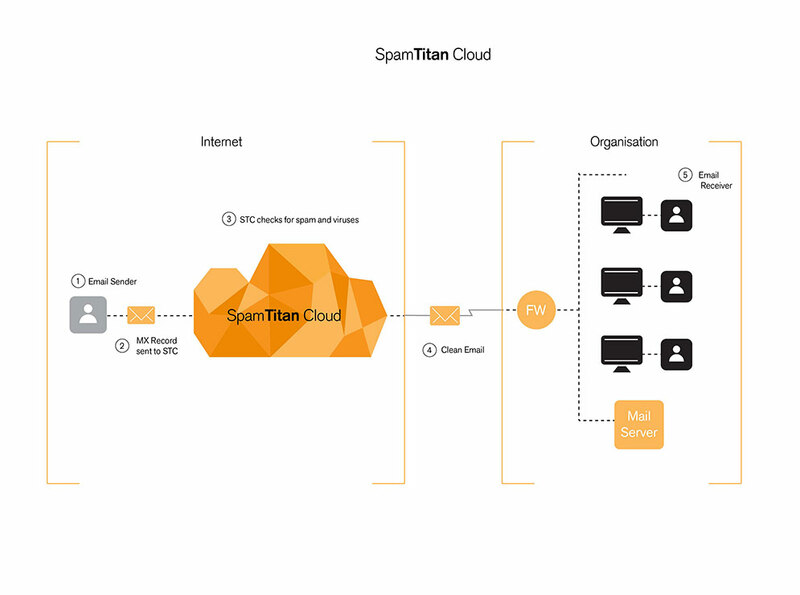 Simplify your email risk management with SpamTitan Cloud. Quick, easy setup, configuration and management. “Spam often contains inappropriate or offensive subject matter and we needed to protect our students, staff and network from that”.